What are Plus Fours Anyway? 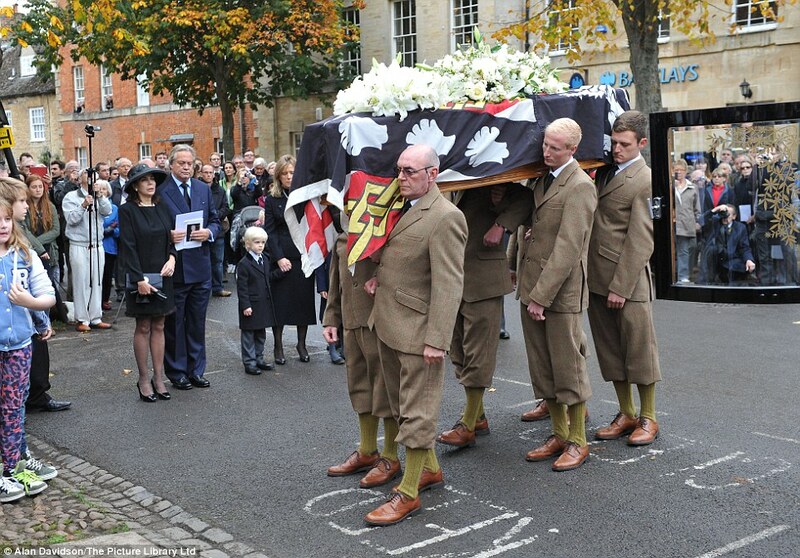 The media coverage of the late 11th Duke of Marlborough’s death made much of the fact that his pallbearers were Palace gamekeepers, or maybe groundskeepers, dressed in “traditional plus fours.” I looked at the photos and all I saw was short pants worn with knee-high socks that seemed to slightly clash with the pants. 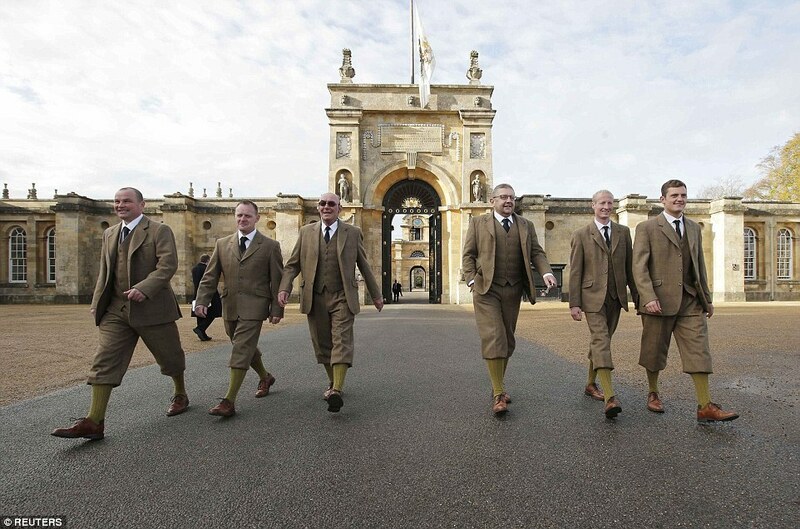 It turns out “plus fours” have a very specific definition: pants that are carefully tailored exactly four inches below the knee.They’ve been worn by British sportsmen since about 1860. The Duke himself very likely wore them when out hunting on his lands. During his visit to America in 1924, the raffish Edward, Prince of Wales, famously wore plus fours. (He later briefly became Kind Edward VIII, until he famously abdicated in order to marry the divorced American socialite Wallis Simpson). His short pants gave him a sort of free-wheeling look that fit right in with the Roaring Twenties. After Edward made his way back home across the pond, his stylish short pants caught on, especially with golfers and with anyone else who wanted to flout convention. (I can well imagine F. Scott Fitzgerald sporting a pair). I generally expect pallbearers to be close friends or relatives of the deceased. It seems that having one’s groundskeepers perform the task must be a privilege and mark of very high status. After all, how many of us even have extensive grounds, let alone uniformed groundskeepers to tend them? There’s also the implication that the Duke’s relatives are above any sort of menial task. I’m reminded of the custom that shocked Consuelo Vanderbilt when she arrived as a young American bride at Blenheim, freshly married to the 9th Duke of Marlborough. A carriage met the newlyweds’ train in Woodstock. Approaching Blenheim, men from the estate unhitched the horses and pulled the carriage through the grand palace gates. Things like that didn’t happen where Consuelo came from. Anyway, the Duke’s employees seem a very happy lot. When I was in Woodstock last month, all the palace employees I encountered seemed extremely cheerful–and that is not always the case with people who attend the high and mighty. I think the late Duke was a hands-on sort of man, genuinely loved by many. As an American, I don’t suppose I’ll ever fully understand the subtleties of the British class system. I do appreciate certain little perks. For example, the late Duke’s name was John George Vanderbilt Henry Spencer-Churchill. But his title gave him the right to use a most elegant signature: he simply signed his name “Marlborough.” Now that’s class. This entry was posted in Architecture, British Isles, Castles and Palaces, England, Film and TV locations, Historic Homes, Historical Figures, History and tagged 11th Duke of Marlborough, 12th Duke of Marlborough, Blenheim Palace, Consuelo Vanderbilt, Edward, King Edward VIII, plus fours, Prince of Wales, traditional British dress, Wallis Simpson on October 30, 2014 by Claudia Suzan Carley.